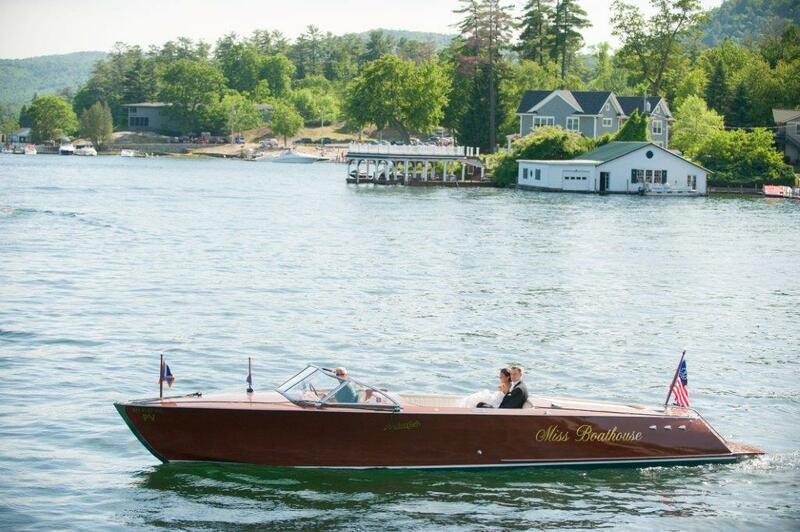 Not only does the Miss Boathouse our 33′ Hacker Craft do guest and private boat tours on Lake George; she also can be commissioned for your wedding photos or a scenic ride to your wedding reception destination. With prior reservations, you can book this add on for your special day. If you would like a unique spot to take some wedding shots, let our Lake George Castle be that spot. Visit our website page for details. Wanting an intimate and romantic venue for a proposal? Let us help you with that too.